It’s nice to be a woman in this world. We’re so special and pampered! We have women-only gyms, we have women-only pools, we have women-only parking spaces. It’s pretty awesome. And then whenever we want to get out of something, we have the excuse of PMS and cramps. Hehe I jokeeeee! As if we’re not special enough, we also have a special women’s radio station! I gotta admit, I love listening to “Talk of the Town with Joanne and Xandria”. They have really interesting and relatable topics and because both of them are hilarious, it makes it even more fun. 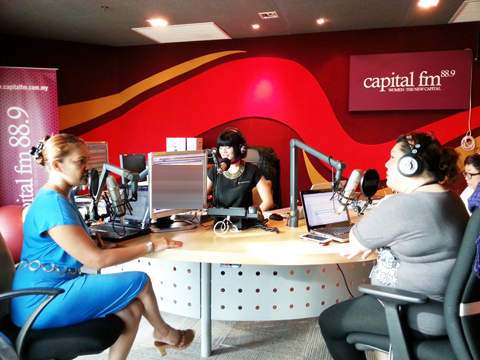 On Thursday mornings, personal life coach Zarina Zainal comes in and shares tips on self-improvement. It’s cool to tune in to the radio, but even cooler to actually be IN the studio when it was happening!! They told us no cameras in the studio. Sureeee, tell 2 bloggers that. 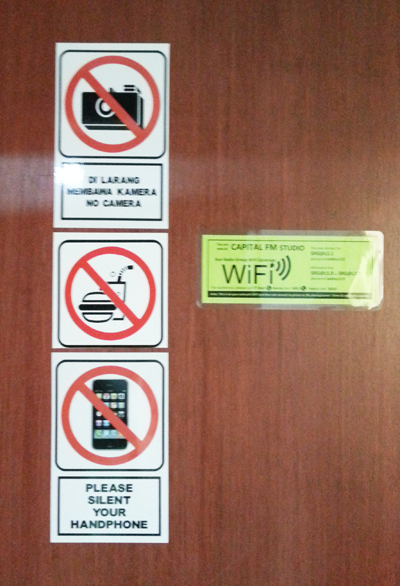 They also told us not to mess with the buttons and the headsets. Bahahaaha. Well who asked Xandria to go toilet? Was such a fun experience just sitting in and listen, and see how things really happen “backstage”. How each talk set was done, how the songs are played, and how passionate these hosts are about their topic and their work. 4 hours of talking!! And they said it really doesn’t feel like 4 hours because time flies so fast when you’re enjoying yourself. This contest runs from 6th to 24th of May 2013. 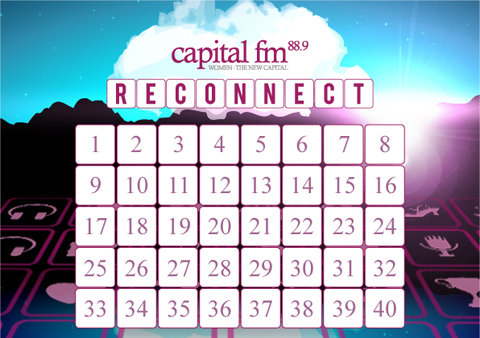 We download this 40-grid box on Capital FM’s website. 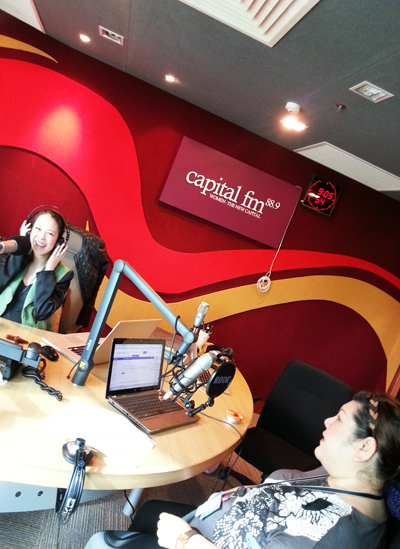 Then, for 3 weeks we listeners have to guess the correct memory combination in order to win. On every segment (I will let you know which segment), lucky caller through gets to turn over 2 boxes and tries to find a match. If both boxes match, they win the prize!! Ok.. now that we know how to play, we gotta know when to tune in. Contest runs 5 times a day. Hope we can win! Mommy needs some spa treatments fo sho!